Did you know that Etsy.com has approximatly of 23 million visitors every month? Now that you know the number, how can you benefit from that? Luckily, Etsy is a marketplace and you can list your products there. You can create and send data feed to Etsy using ExportFeed and advertise your products to 23M audience. 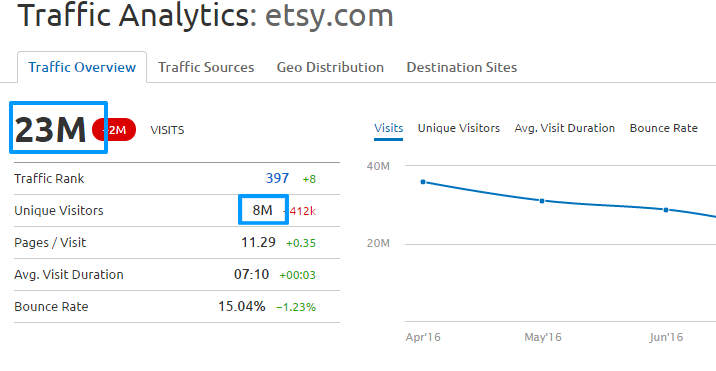 As per the information derieved from SEMrush, Etsy has 23M visitors and 8million of them are the unique visits. The Average visit duration is 7:10 and it has been able to maintain a bounce rate of 15.04% which indicates the userfriendliness of the site. This is something that you can really benefit of as this increases the chances of conversion of your prodcut. How to sell your products on Etsy? 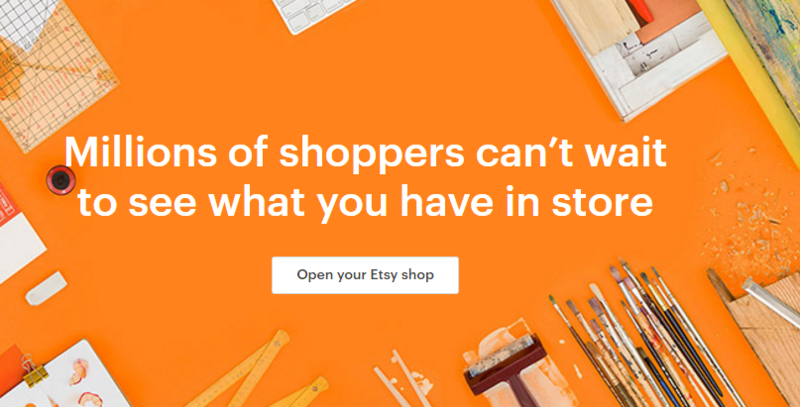 First you need to register your shop on Etsy.com. This is a fairly simple process and you can start by clicking on Sell on Etsy link. Then you will need to provide some preliminary information about your shop, products, billing information and how you want to receive your payment. Next point that you should take a look at is the amount that you will be charged by Etsy. Don’t be alarmed. In Etsy, you will be able to list in 0.24SGD per product which is really affordable for everyone and Etsy charges commissions on sales. If there is sales, it’s good, right? How to create data feed for Etsy? You could go through the manual and time consuming processes available around or you could follow these simple steps. First add the ExportFeed plugin so you can create the prodcut feeds from your website. If you are using WooCommerce in your site, you can download ExportFeed plugin from here. Or if you are using other eCommerce platforms, you will find the links to available ExportFeed extensions from here. Now, in order to create your data feed for Etsy, open your ExportFeed admin. There on the merchant selection, select Etsy. Then, though most of your local attributes are mapped to that of Etsy’s, you can make adjustments. Then select the product categories that you want to generate feeds for and give a name for your feed file. It’s as simple as that. You can get the eCommerce platform based specific instructions from here. It’s simple and affordable + Your product will get exposure to millions of visitors. You can have the ease of feed management and product listing operations using ExportFeed. After you make a sale, it’s easier to receive payments that you own. Google PLAs, Yes Etsy makes the best use of them for you. And in case of any confusion, their support team is really responsive. Bonus: The prodcut category that Etsy sells will meet your range of prodcut line. Now, what could be holding you to list your prodcuts on Etsy while using ExportFeed? If there’s anything, please let us know.